Can you believe this gorgeous bouquet arrived in a box? 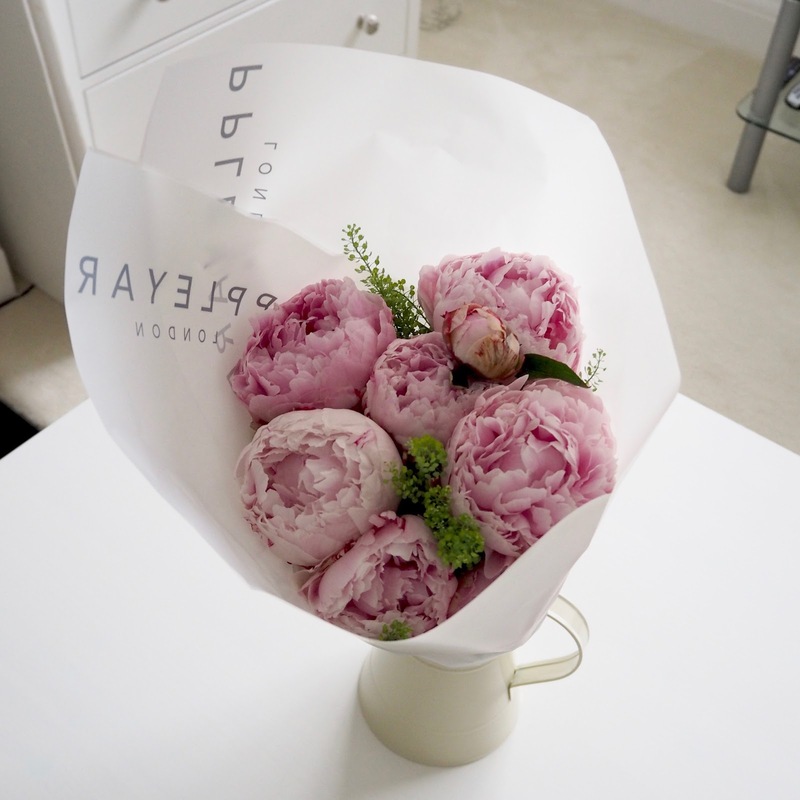 The flowers come very cleverly packaged - they're tied in such a way that they can't move around in their box or get damaged, and they come well stocked with water for their journey. 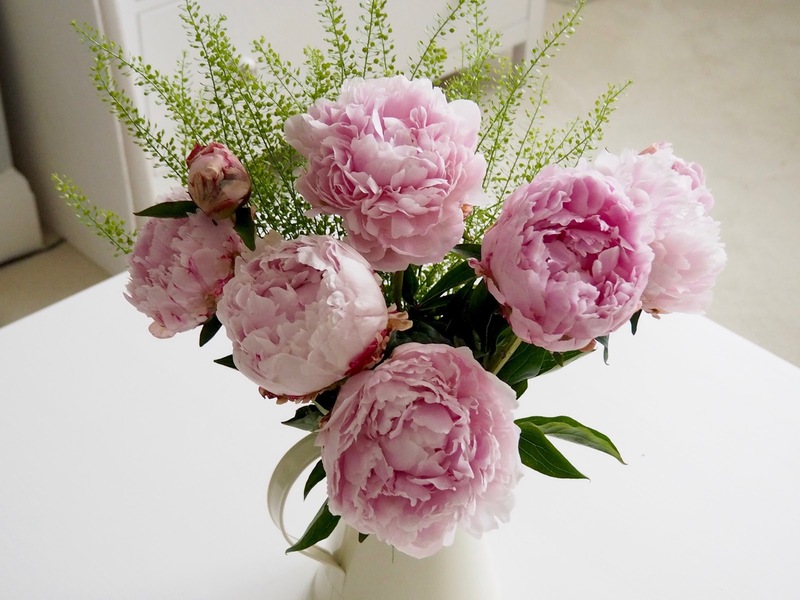 They also come with some flower food and tips on how to care for your flowers to make them last longer. 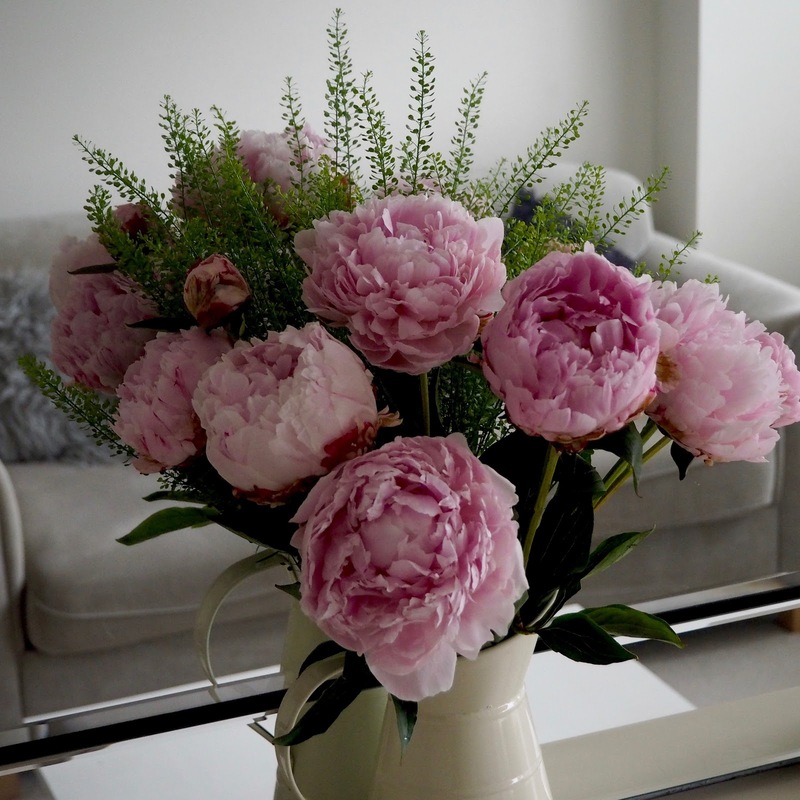 Peony season was just ending when I chose my bouquet, so I couldn't resist this beautiful pink bunch. They looked absolutely gorgeous just popped into a vase I already had at home and took no effort at all! 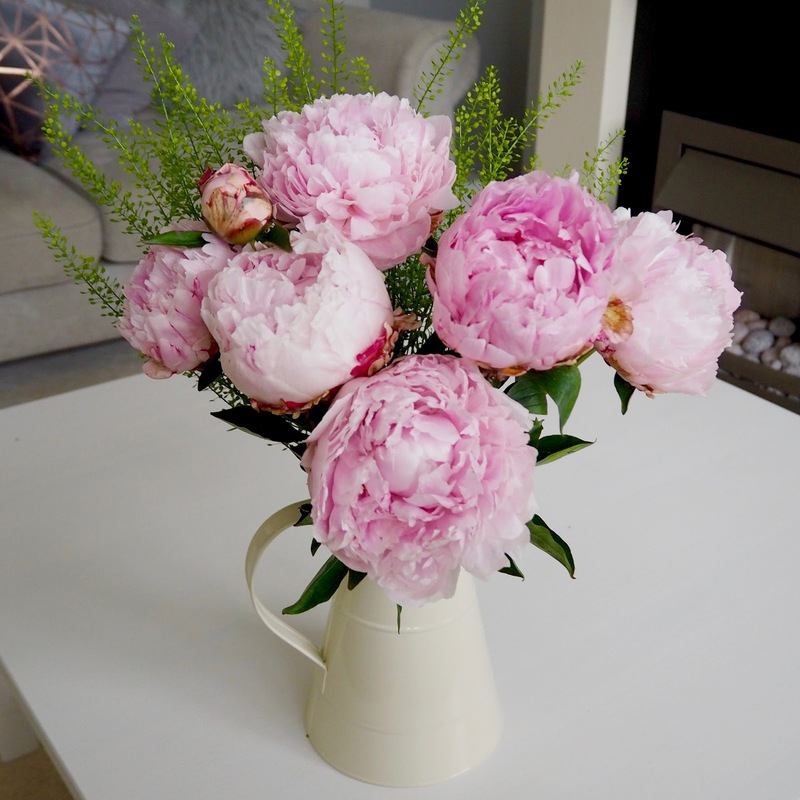 Sadly the peonies are now out of season, but there's a huge selection of summer flowers to choose from instead, including lots of bright and beautiful sunflowers, lilies and iris. 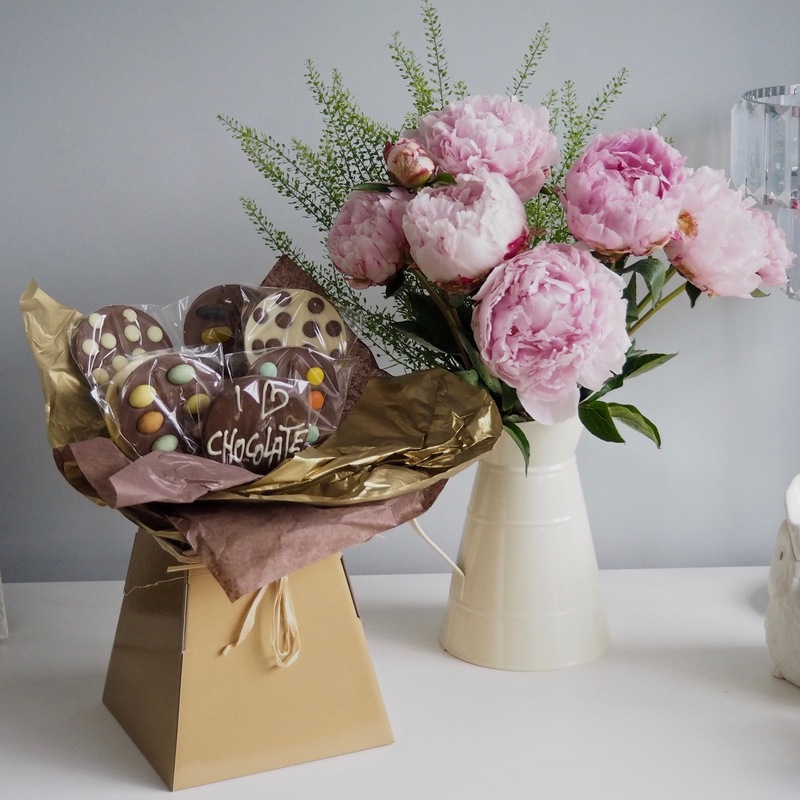 For me flowers really are a go to gift that suit so many reasons and occasions, but if you do happen to be buying for someone who doesn't like flowers, or can't have them in the house because of an allergy or a pet or something, blossoming gifts have you covered. 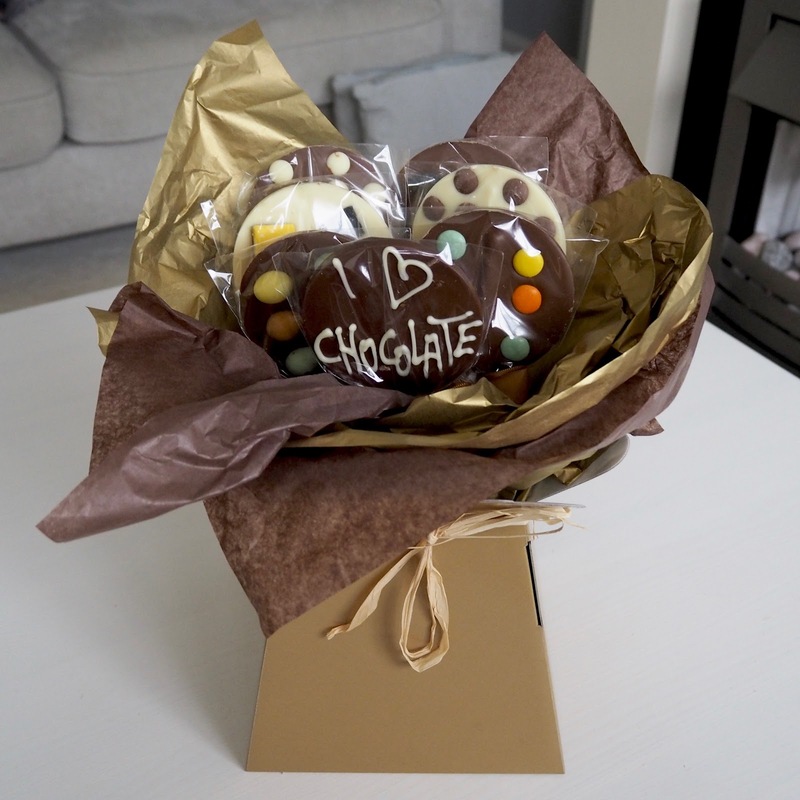 As well as a huge selection of flowers, they also have giftable plants and a selection of food and wine gifts too, such as this fantastic chocolate bouquet! This is such a fun and unique gift for a chocolate lover and beats getting them a boring old box of chocolates for sure! 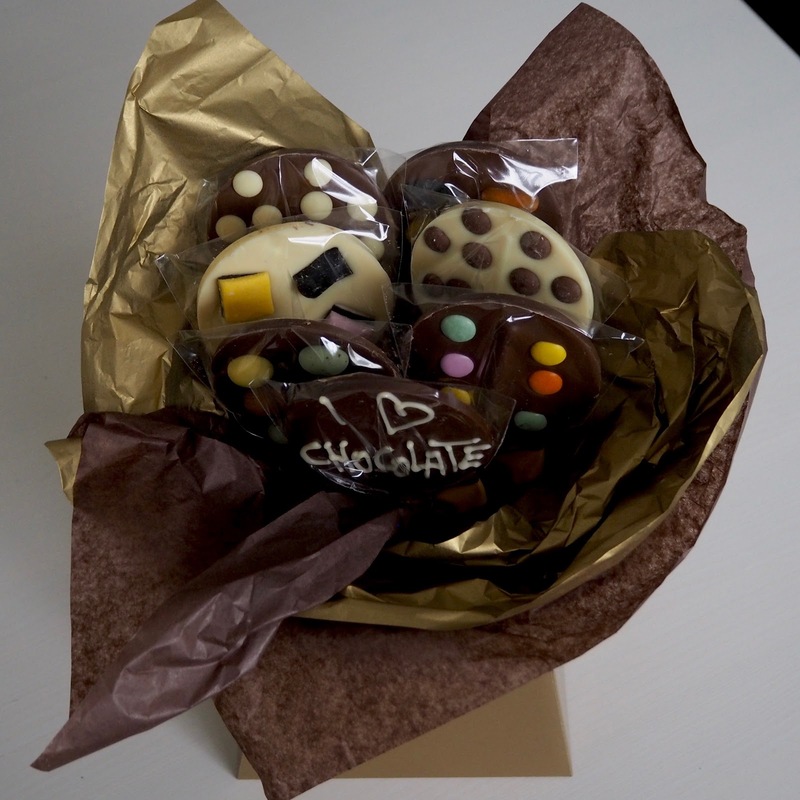 You get an assortment of chocolate slab lollipops all arranged into a bouquet style gift box. 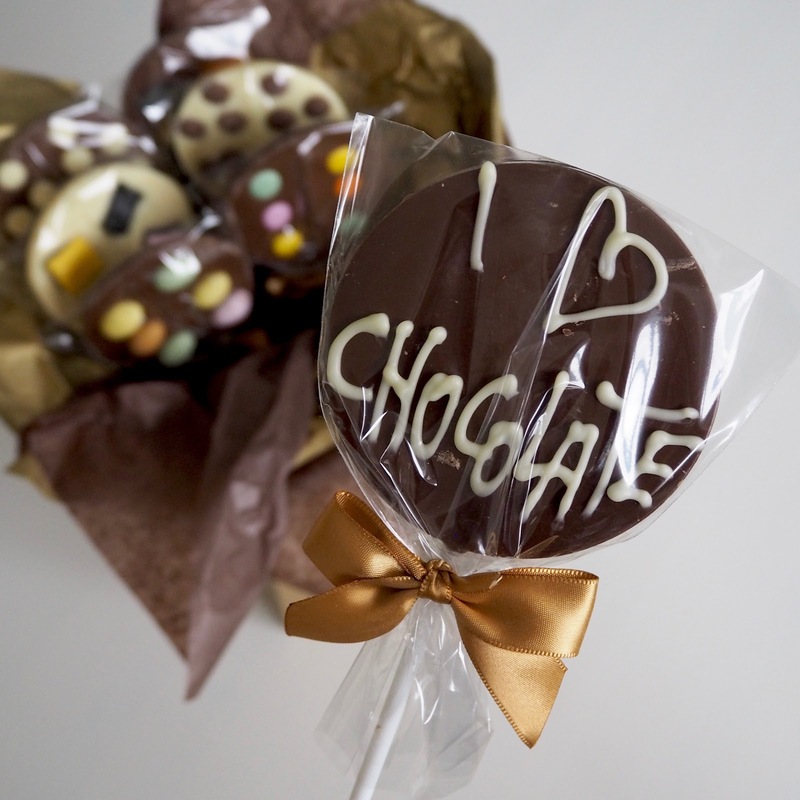 The one I went for has 'I love chocolate' iced onto one of the lollies, but you can also choose from other phrases including 'thank you', 'get well soon', 'congratulations' and more. 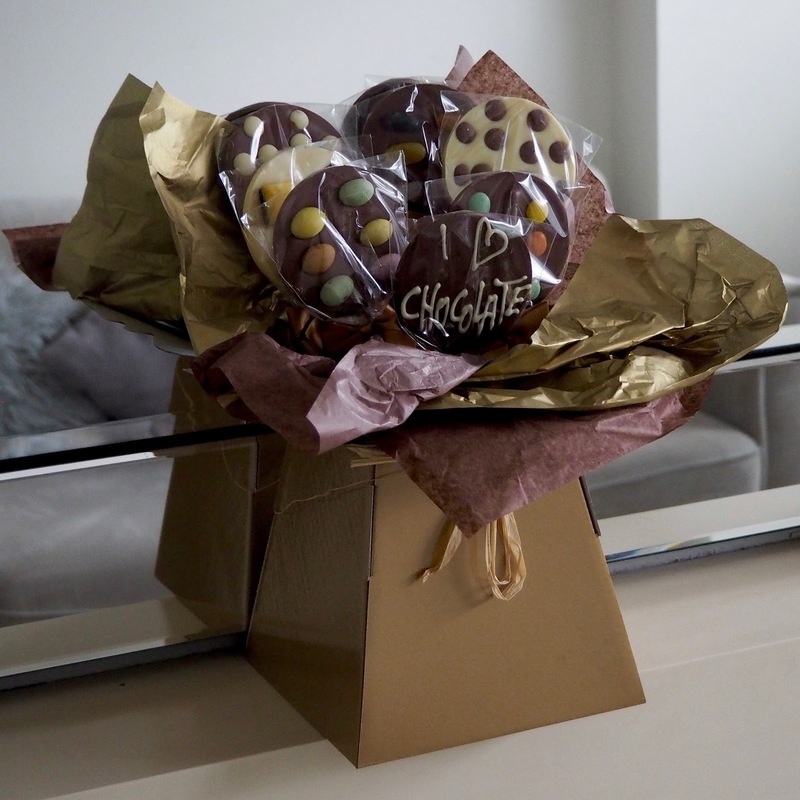 There's even a version of this which is packed with Lindt balls or Ferrero Rocher - amazing! You can get 33% off the bouquet of your choice at blossoming gifts with the code BFGIFTS33. 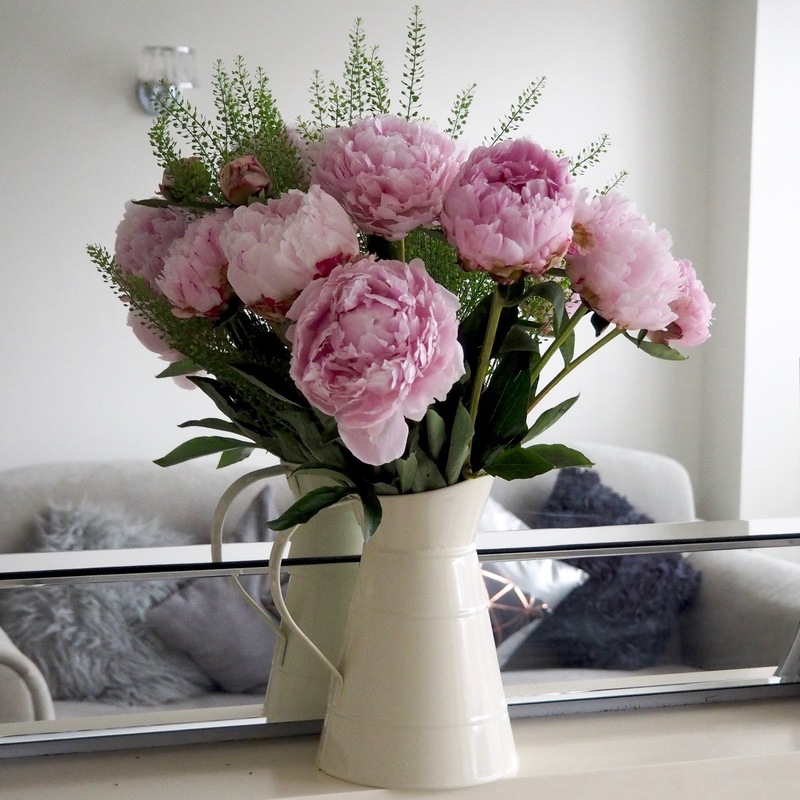 Also, if you fancy winning a bouquet of choice up to the value of £35 plus delivery, enter my giveaway! This giveaway is open to UK residents only. The prize is a choice of bouquet / gift from www.blossominggifts.com up to the value of £35 plus delivery and there is no prize alternative. 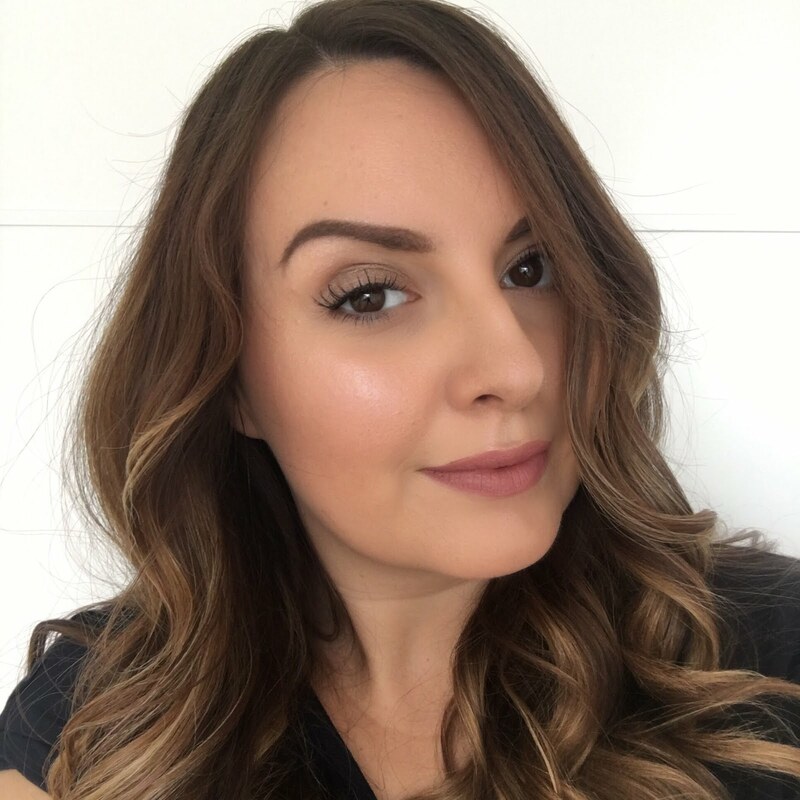 A condition of entry to the giveaway is that you provide an email address which may be used by www.blossominggifts.com for marketing purposes. The giveaway will remain open until 11.59pm on Sunday 27 August and the winner will be contacted by email. Good luck!